Sukumar and Koratala Siva for RC 11 and RC 12 in pipeline? Home/NEWS/Sukumar and Koratala Siva for RC 11 and RC 12 in pipeline? Sukumar and Koratala Siva for RC 11 and RC 12 in pipeline? 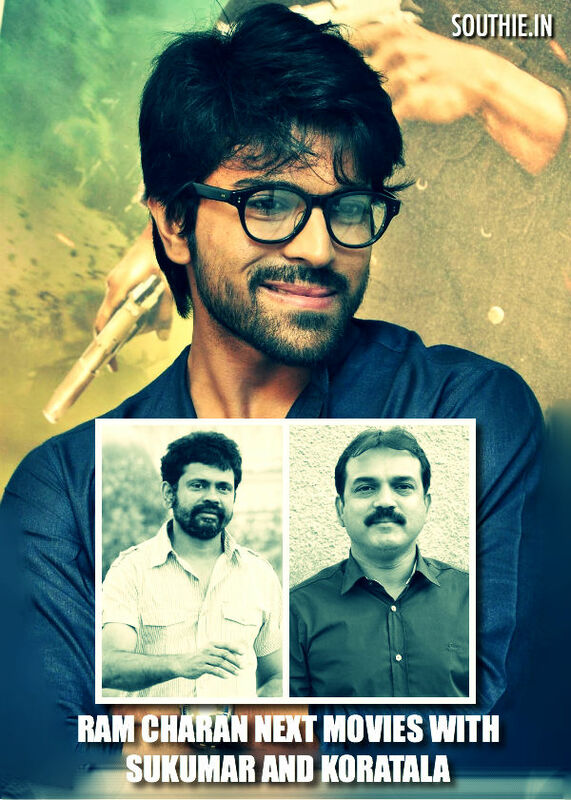 Ram Charan might probably sign movies with these two directors after their successful movies. Ram Charan is at last making some good decisions on signing up of the directors. Mega Power Star Ram Charan and Koratala Siva were supposed to work for a project before Koratala’s Srimanthudu. The project could not take place due to unknown reasons. Koratala Siva’s second movie Srimanthudu also scored a blockbuster and the director is busy working for Young Tiger NTR’s ‘Janatha Garage’. After Koratala’s movie with Jr.NTR the next would probably be with Ram Charan. Mean while there are speculations that Ram Charan would also do a movie with Sukumar if everything works out.